﻿ Where the boys are: Why is men’s singles the exception to the prodigy pattern? 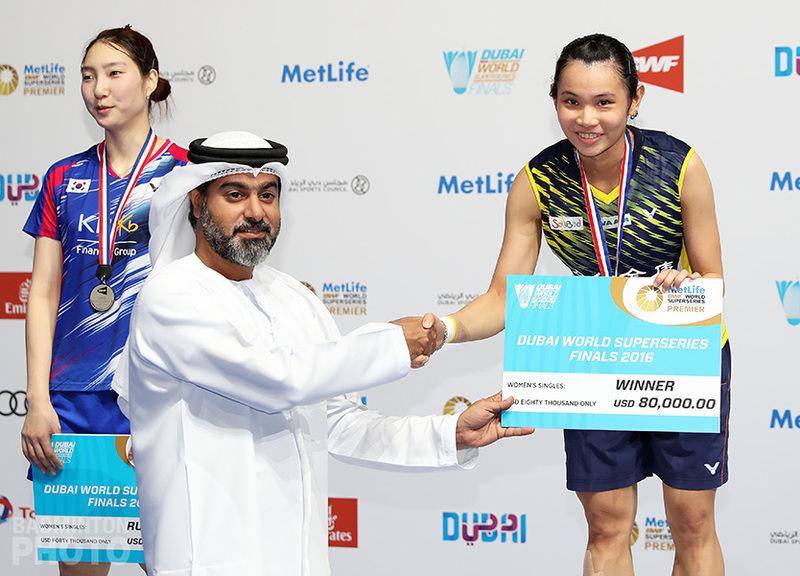 The BWF World Superseries has nearly come to the end of its 11-year run. After 139 events, a teenager has stood atop the podium a total of 36 times – 13 of these in the last 2 years – but not one of these 18 different teenagers has been a men’s singles player. 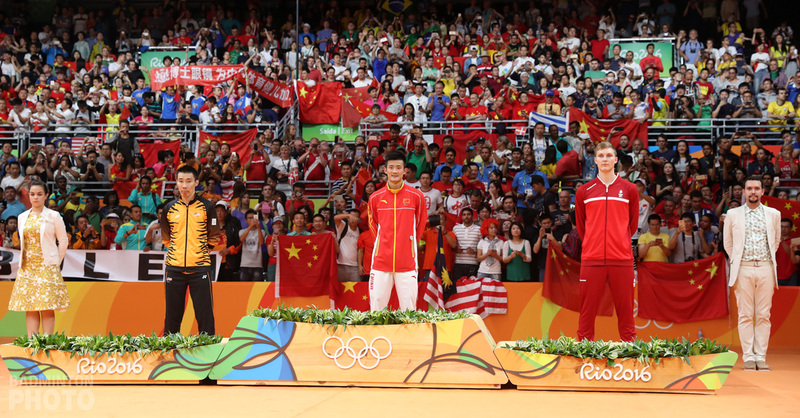 Even if you cast the net wider and include everything from Grand Prix up to the Olympics and World Championships,[†] you find that of 159 titles won by teens in all 5 disciplines, men’s singles account for just 3, all of them Grand Prix titles. If we count singles finalists – rather than winners – then teenaged boys have done a little better but we still find that out of 18 finalists at Grand Prix level or above, no one but Viktor Axelsen (pictured), at the 2012 French Open, did it at a Superseries. Most of the other disciplines have seen that many teen finalists, or many more, in the Superseries alone. To begin with, this is a curiosity, not a problem. Obviously, coaches around the world are concentrating on developing talent. Period. They want to turn young players into solid, quality athletes, not into champion 19-year-olds. I’m sorry, I don’t think this is the ideal question. In my point of view, the value of a player doesn’t depend on how early he could win the title but on how long he could stay on court. A player could win titles at the age of 15, but this kind of thing doesn’t mean anything. If he could win titles at the age of 15 and keep playing on the professional court until the age of 35, I believe this will be the most valuable thing to him and to the sport. But just because it isn’t a problem, that doesn’t mean we can’t ask how or why this kind of pattern exists. Asking the question, or a few questions, could still reveal some interesting facts or trends, and at least some partial answers. Outside the scope here is the notion of statistical significance. True, this analysis does stoop to comparing 0 men’s singles titles to 6 men’s doubles Superseries titles and that may sound a whole lot like quibbling. After all, those 6 doubles titles were all won by exactly 2 teenagers and each discipline has had 139 champions since the 2007 Malaysia Open. But I’m not a statistician and frankly, to conclude that men’s singles simply shows the tiniest blip among five tiny blips just wouldn’t be any fun! Men’s singles has the lowest numbers in every category and I think that means it would be interesting to look into it and ponder it from a few different angles. Is the disparity all about men’s singles or about its current generation? Is it really a gender gap: i.e. men, and not only men’s singles? Is this about some specific challenge for youngsters at the highest level in men’s singles which is not true of men’s doubles or of women’s singles? So maybe men’s singles is just like that, and veterans never get fooled or even outrun by peppy upstarts. Well, that may be partly true but there was a reason we brought it up with Lin Dan back in 2013. Not only was that right after Ratchanok Intanon won the women’s singles World Championship title at age 18 but it was also nearly ten years after Lin Dan had won his second major title as a teenager. Lin won the 2002 Korea Open title at age 18 and then the 2003 Denmark Open title a few weeks before turning 20. Nor was he the only one. Taufik Hidayat had won his first Grand Prix title at 16 and his first Indonesia Open title at 18. He won two more ‘pre-Superseries’ titles and the Asian title all before turning 20. In the same period, Chen Hong won the Asian title at 19, Bao Chunlai won the Denmark Open at 18, and the last time came when Sony Dwi Kuncoro (pictured left) won his second Asian Championship title while still a teenager in late 2003. But that’s it. No teenaged men’s singles player in the last 14 years has won anything bigger than those three fifty thousand-dollar Grand Prix events. On the other hand, if we keep going further back into the past, we do find more. 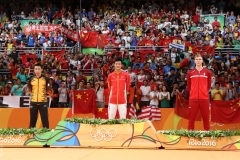 It’s a little difficult to track down every historical instance but 10 years before Chen and Hidayat, the Hong Kong and China Opens were won by teenagers Wu Wenkai and Ardy Wiranata respectively. Earlier in the 80s, Icuk Sugiarto and Zhao Jianhua had titled at the biggest events before age 20, too. It’s not an annual thing, but then again, a 14-year gap seems excessive. Perhaps there is something about men’s singles that makes it the domain of late bloomers. In other words, it might not simply be that today’s players peak later. Perhaps the ones with the potential to win major tournaments aren’t even the same ones who were on top as juniors. The table below shows how the Asian and World Junior Champions have fared in the Superseries. Clearly, almost all of the girls have gone on to senior success. Even most of the few girls’ singles champions with no Superseries titles have at least won at the Grand Prix Gold level. The boys, on the other hand, are more hit and miss. 7 of those pre-2015 junior champions have yet to win a Grand Prix title. But even more telling are the big names that are absent from the junior lists. Peter Gade won doubles but not singles and Taufik Hidayat and Lin Dan were continental but not world champions. 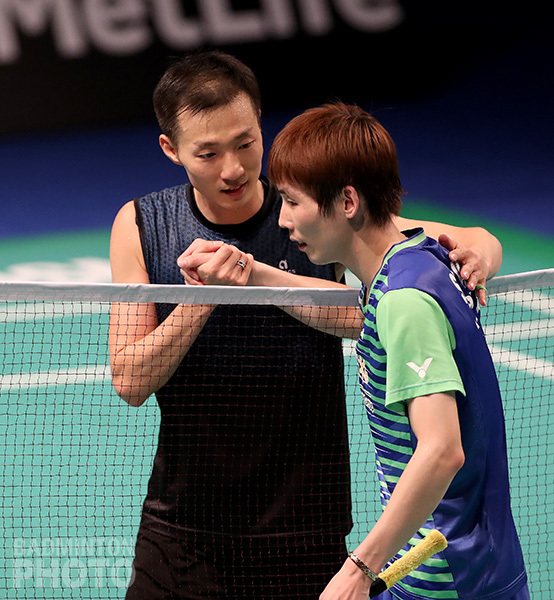 Unable to top a major junior podium at all were then-future men’s singles world #1s Chen Hong, Lee Hyun Il, Son Wan Ho (pictured left), and especially all-time Superseries leader Lee Chong Wei. Actually, if you look at those 15 teenagers who did manage to reach men’s singles finals in Grand Prix or Grand Prix Gold events, only one has managed to grab his first Superseries title – and World Championship for that matter, since we’re talking about Viktor Axelsen. Some of those teen finals are quite recent – like Kantaphon Wangcharoen’s silver at the 2017 Thailand Masters – and there also are some recent 20th birthdays – such as those of Thailand Open runner-up Jonatan Christie and 2014 Indonesia Masters finalist Firman Abdul Kholik. 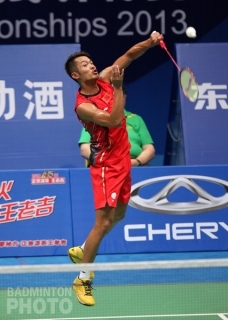 But 10 of them were prior to 2015, and even the first teen Grand Prix men’s singles finalist – 2009 New Zealand Open runner-up Wong Wing Ki – is still in the hunt for his first Superseries title. 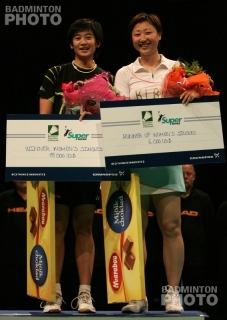 In contrast, of the 32 teenaged women’s singles finalists at major events from 2007 to 2014, 17 went on to win Superseries titles. 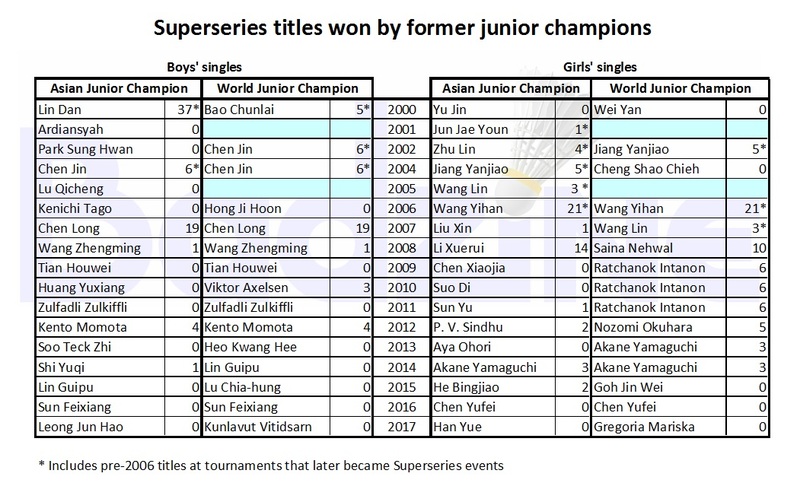 Similarly, from 2007 to 2014, 11 of the 17 teenagers who reached men’s doubles finals at Grand Prix level or above went on to title at Superseries events. Although men’s singles has the lowest number of teen champions, we can’t ignore the fact that it is in both singles and doubles that boy winners are less common. 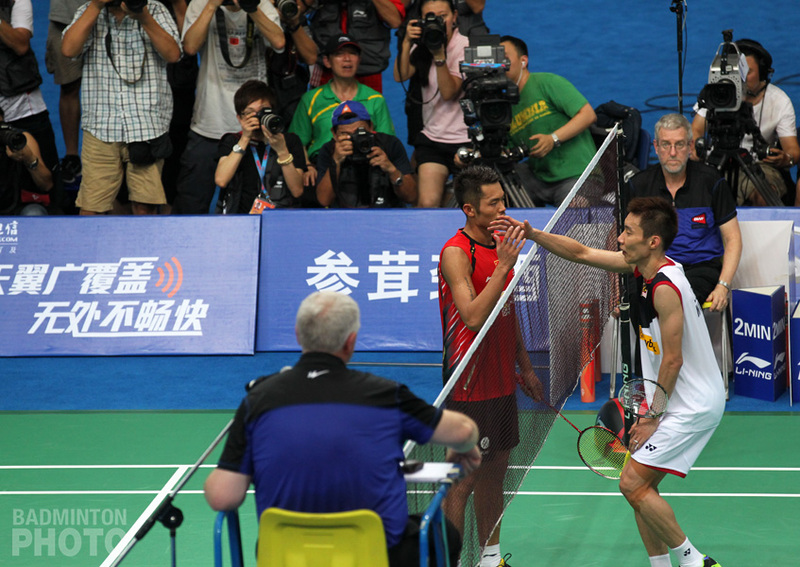 If we only consider the Superseries, men’s doubles has had exactly two teen winners – Tan Boon Heong and Lee Yong Dae – and they both won with veteran partners. In fact, Lee is also one of only two teenaged boys to title in mixed doubles at the Superseries level, but the other one, Zheng Siwei, earned his first 3 Superseries titles with fellow 19-year-old Chen Qingchen. 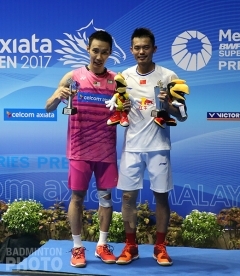 But once we go down a rung to the Grand Prix Gold level, men’s singles is still showing 0 teen winners while men’s doubles has Lee Yong Dae and Tan Boon Heong, plus Zheng Siwei, Huang Kaixiang (pictured right), Li Junhui, Liu Yuchen, and Kevin Sanjaya Sukamuljo, while in mixed doubles, 3 of those 5 have titled before age 20, along with Zhang Nan, Wang Yilyu, Lee Chun Hei, and – just this year – He Jiting, Seo Seung Jae, and Dechapol Puavaranukroh. In fact, overall, more major mixed titles have gone to teenaged boys than girls, including the only Olympic gold ever won by a teenager. What if it isn’t about the youngsters in the past 14 years, but about the youngsters 14 years ago? Is it merely a coincidence that the same boys who were winning titles and reaching world #1 at age 19 and 20 were also the men who dominated the senior circuit and kept the biggest titles out of the hands of younger players? 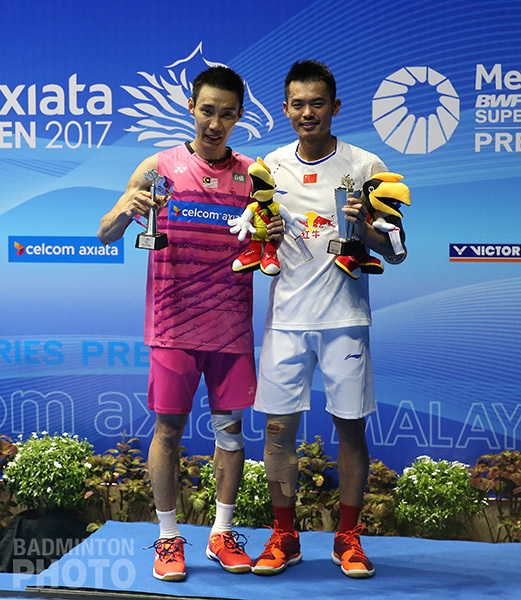 Once you bring Lee Chong Wei (pictured left, with Lin Dan), Peter Gade, and Lee Hyun Il into it, it starts to look like a star-kissed generation. Indeed, it might have been a similar cohort of talent in the 90s that denied that decade’s teenagers early success, with Allan Budi Kusuma, Joko Suprianto, Ardy Wiranata, Poul-Erik Hoyer, Thomas Stuer-Lauridsen, Hermawan Susanto, Dong Jiong, Sun Jun, Arbi Heryanto, and Fung Permadi dividing the major titles among them. Still, the coincidence of the primes of Susi Susanti, Camilla Martin, Ye Zhaoying, and Bang Soo Hyun was not enough to prevent Ra Kyung Min, Mia Audina, Gong Zhichao, or Gong Ruina from winning big as teenagers in the 90s. 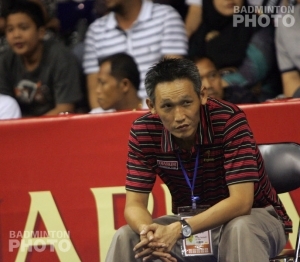 And Prakash Padukone, Liem Swie King, Misbun Sidek, and Morten Frost had all hit their stride by the time Icuk Sugiarto won the Indonesia Open at 19. Youth wasted on the old? Focussing further at the top end of age scale, are veterans simply playing longer? Perhaps better prize money, sponsorship, government funding, or even sports medicine are allowing the sport’s best players to play further into their 30s, leaving this century’s youngsters no choice but to wait their turn. This is certainly a possibility. 2007 had the lowest average age for Superseries singles winners at 24.5 years. Since 2009, the average has fluctuated between 26 and 28. True, players like Fung Permadi (pictured right) and Poul-Erik Hoyer played to the age Lee Chong Wei is now (see the table below) but once again, we have to look at the incredible dominance by Lee and Lin Dan, neither of whom have a retirement yet in sight. The two oldest singles players on the tour suggest yet another facet of the modern game. Players like Lee Hyun Il (37) and Hu Yun (36) are part of a whole legion of players – some recently retired and some still going – who kept playing well into their thirties and – even if they themselves only combined for about a dozen Superseries titles – made it difficult for youngsters to title early. Think of what the prospects have been for a teen prodigy against the likes of Lee, Hu, Peter Gade, Boonsak Ponsana, Sho Sasaki, Marc Zwiebler, Taufik Hidayat, or Sony Dwi Kuncoro in the early rounds of any major events the last ten years. Between these veterans and all the other top players in their 20s, the opportunities were few. Not that it stopped the girls. 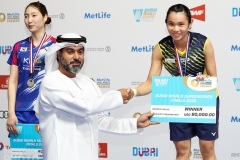 In roughly the same period, Zhang Ning, Tine Baun, Xu Huaiwen, Pi Hongyan, Julian Schenk, Zhou Mi, and Wang Chen all played past the age of thirty and this did not preclude players like Lu Lan, Wang Lin (pictured left, with Zhou Mi), Saina Nehwal, Wang Yihan, Wang Shixian, Li Xuerui, Ratchanok Intanon, or Tai Tzu Ying from taking major titles before turning twenty. Back in 2014, we did a poll on this very topic wherein we asked Badzine readers who they thought would be the next teen to title. 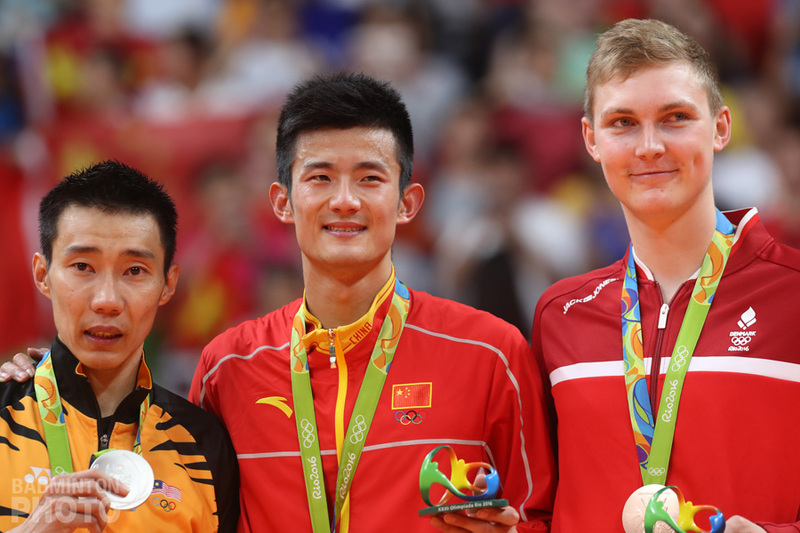 At the time, Viktor Axelsen had just turned 20, our readers chose Jonatan Christie (pictured right), who had 3 more teen years to come into his own, and we closed it down as soon as Wang Tzu Wei won a Grand Prix title that spring. Christie just turned 20 himself, a couple of weeks after winning the SEA Games gold and a couple of days before reaching his first Superseries final. Perhaps the poll was a few years too early. In the past 13 months, we have seen the youngest Grand Prix men’s singles finalist (Siril Verma) and then the youngest semi-finalist (Kodai Naraoka) since 2007. The new World Junior Champion Kunlavut Vitidsarn (pictured bottom) is the youngest since Axelsen in 2010. But again, the stars of tomorrow aren’t always crowded at the top of the list of today’s most successful teenagers. We can’t ignore what else has happened since the 2014 poll. 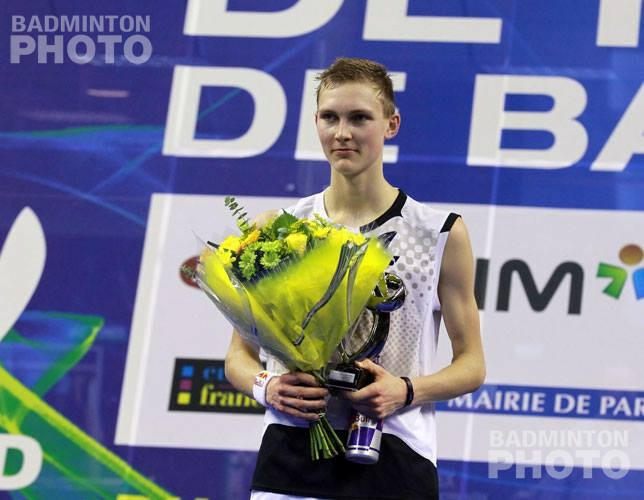 Axelsen has become World Champion, one player from our poll has multiple Superseries titles, two others have been in Superseries finals, and two won their first major titles at age 20. As to why teenagers aren’t winning men’s singles titles or when the next such occasion will arise, we can continue to speculate. But meanwhile, a new generation is taking over – maybe slowly, but surely, and not always early. [†] The table counts semi-final appearances in all events from Grand Prix upward, beginning in January 2007. It includes Grand Prix, Grand Prix Gold, Superseries, and World Championships. It also includes Asian and European Championships but excludes all other continental championships. It includes the Olympic Games and Asian Games but excludes all other multi-sport events. It’s strange that you did not take into account the different scoring system. Back then, when the 15 point system (no rally point! ), it required an incredible physical endurance. Players like LCW and LD at their old age won’t stand a chance against younger players, and we could observe that in fact there were very few players still active at the age of more than 35 years. IMHO, in the 21 rally point system, skill and experience play a more important role in the game. That’s a good point and you are by no means the only one who has suggested this as a factor. I think it is logical to assume this would affect singles more than doubles but do you have a theory as to why this would affect men’s singles in particular, and not women’s singles? Do you think it could be that the women’s singles went to rally point but simultaneously got longer matches, with games going from 11 to 21 rather than from 15 to 21? To keep things simple : the physicality of the men’s game is far too great for the younger players to compete with the older ones. It’s a known fact that girls physically mature earlier than boys, which is why there are so many teenage girls who can compete at the senior level. It’s genetic and biological. Furthermore, the reason why I feel a lot of the boys do not go onto to win major titles at seniors is mainly due to complacency and having thought they were already a guaranteed winner. If you consider my good friend V.Axelsen, he is an exception to the rule purely because of his mentality. He is constantly hungry and looking for ways to improve. Some of the others, I can say have gone on to some success at junior level and are hyped too much, at which point this gets to their heads and is counter-productive. It isn’t always the case, but there are too many names I can mention of “prodigies” who have totally fizzled out. Players like Jorgensen, who was never the best junior by a long chance, has achieved through his pure hunger and determination. It becomes clear, that apparent talent is not everything. Nothing will beat hard work. Thank you for your response. I’m sure that your idea also lends part of the answer, as have other comments I have received elsewhere. There is still the little matter of 1999-2003, when it actually seems that major men’s singles titles were actually more often won by teenagers than were women’s singles titles. Completely agree. The physical demands of MS has stepped up even further to an immense level. Skill and talent will only take you so far. Then the transition period to become a winner is a grueling one, which takes time and a lot of hard work. The transformation of Axelsen and Srikanth in recent years is very visible.